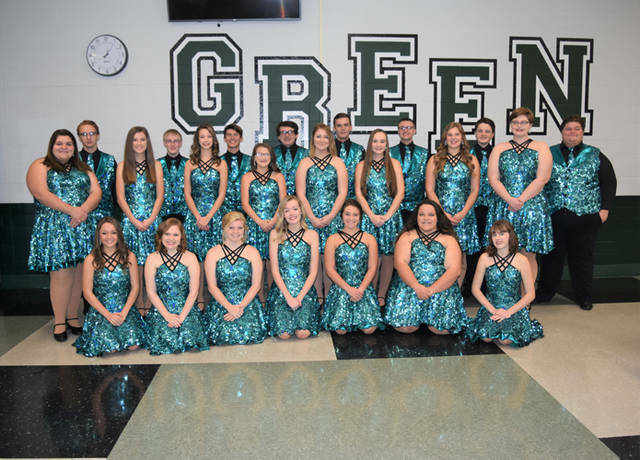 The Wavaires will perform various selections from their upcoming church cantata, “Old Church Choir,” during the Greenville High School Vocal Music students’ Winter Concert at 7 p.m. March 4 at Memorial Hall. GREENVILLE – The Greenville High School Vocal Music students will perform their annual Winter Concert at 7 p.m. March 4 at Memorial Hall. Tickets will be available for purchase online only by visiting gcswave.brushfire.com beginning Feb. 18. Student, child and Greenville City Schools faculty tickets are $2 and all adult tickets are $4. Doors will open at 6:30 p.m. the night of the performance. The GHS choirs are directed by Chelsea Whirledge and accompanied by Christopher Andres. Community members can like and follow Greenville High School Vocal Music Boosters on Facebook to receive the latest news and ways to support the GHS Vocal Music program and other events.